Muddle the mint leaves, sugar and the water. 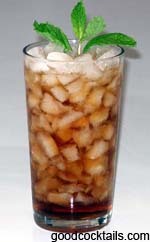 Fill glass with crushed ice. Add Irish whiskey.